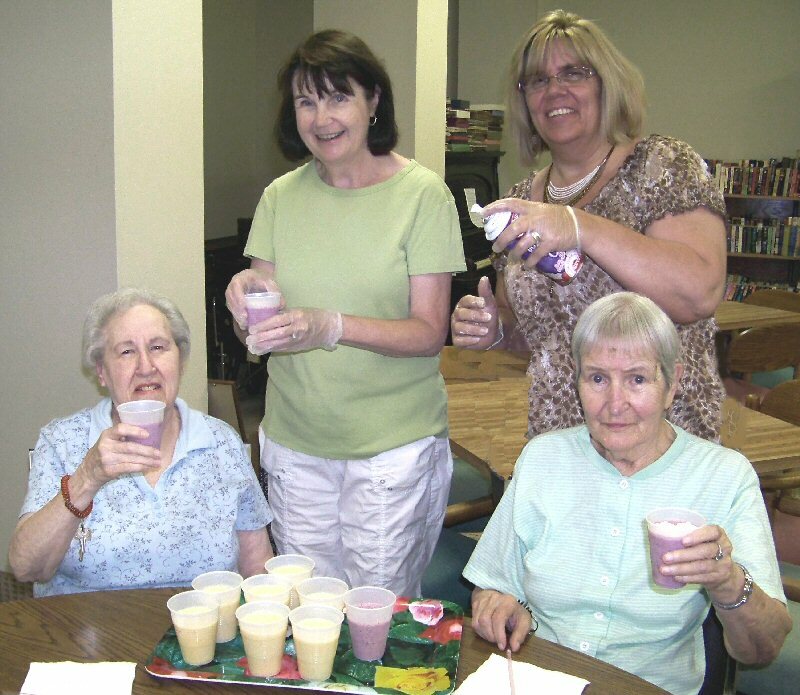 FULTON, NY – Catholic Charities of Oswego County’s Community Services recently treated residents of the Fulton Mill Apartments to a smoothie party. They enjoyed homemade smoothies and other treats. Standing from left are: Helen Hoefer supervisor of Community Services for Catholic Charities of Oswego County; and Ann Casey, resident services coordinator at Fulton Mill Apartments. Seated from left are residents Mary Gower and Terry Schoolcraft.